The Stones' Exile is number one...again! 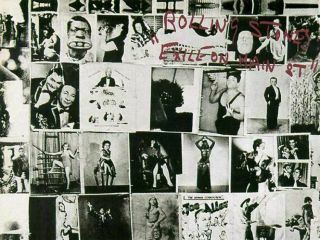 The Rolling Stones topped the UK charts with their remastered, reissued Exile On Main St, making it the second time the classic album has hit the number one spot. The two record set originally nailed number one when it was first released in 1972. The celebrated Exile - and be sure to read our extensive track-by-track review here - includes a disc of previously unreleased material and rare outtakes from the sessions. Exile outpaced Faithless' The Dance for the top position, with Plan B's The Defamation Of Strickland Banks coming in at number three. This is the first time The Rolling Stones have hit number one on the UK charts since 1994's Voodoo Lounge. In related Stones news, today the group denied reports that drummer Charlie Watts is leaving the band. It is the second time that his membership in the legendary group has been called into question during the past year. According to Healrdsun.com.au, sources in the band's camp suggested to them that Watts will be replaced on an upcoming tour by drummer Steve Jordan as "Charlie Watts has vowed to quit world touring." This morning, however, The Rolling Stones issued a statement denying the latest claims: "Contrary to a fabricated and ill-informed report that appeared yesterday on a small music website in Australia, we would like to make it clear that drummer Charlie Watts has not left The Rolling Stones," a spokesperson explained. The spokesperson added that Watts will be with his bandmates later today "celebrating with the rest of the Stones…as the Exile album is number one in the UK charts."